Belfast Giants lost their second Continental Cup semi-final game against hosts Angers 2-1 on Saturday night but remain with a chance of progressing to the Super Final in January. Victory against Polish club Sanok see the Giants qualifying unless Belarus club Grodno beat Angers by the odd goal if the result is 3-2 or higher. However, a Giants defeat will see Steve Thornton's side exiting. 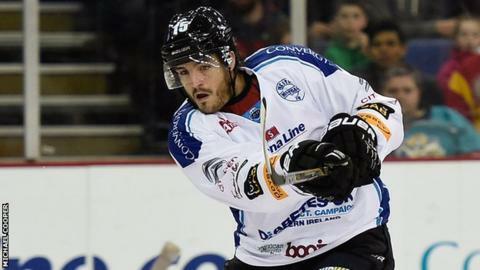 Former NHL star Kevin Westgarth scored Belfast's goal late in Saturday's game. Westgarth netted with only 27 seconds remaining after Angers hit two goals in the first period. Belfast defeated Grodno 1-0 in the opening game on Friday in France. Sunday's game will face off at 14:30 GMT.